MOSCOW, March 20. /TASS/. All questions concerning violations during voting at Sunday’s presidential polls in Russia should be referred to relevant agencies. The Kremlin frets little about ungrounded complains, Russian president’s press secretary Dmitry Peskov said on Tuesday. "If reports [about possible violations] are grounded by relevant inquiries to law enforcement agencies from observers who monitored voting at each and every polling station, then we do fret. If they are not grounded, we fret little," he said. 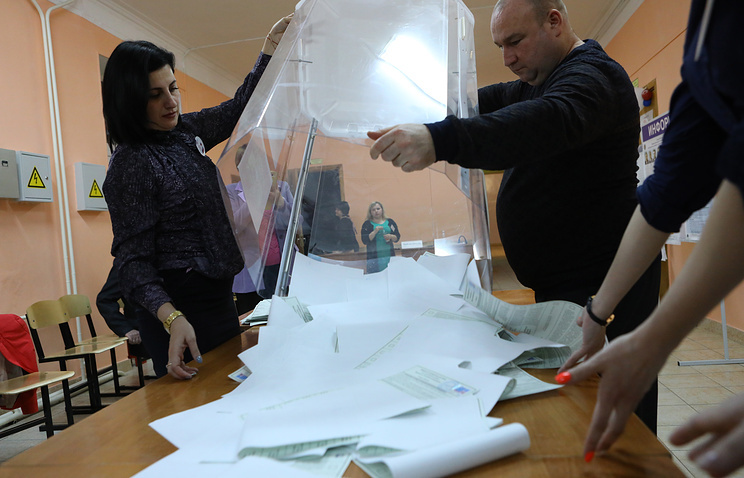 A journalist told a briefing earlier that Reuters correspondents had reported discrepancies in the number of voters taking part in the polls and the overall number of ballots at 12 polling stations. Earlier on Tuesday, chairperson of Russia’s Central Election Commission (CEC) Ella Pamfilova said that voting results of the Sunday’s election had been cancelled over violations at just seven out of 97,000 polling stations across the country, with a number of such violations reportedly being provoked. She pledged that all the reported violations would be looked into "to be absolutely sure the few violations exposed have not impacted the voting results." Russia held election of its president on March 18. According to the latest update of the Russian Central Election Commission after counting 99.84% of ballots, incumbent President Vladimir Putin is scoring 76.6% of the vote. 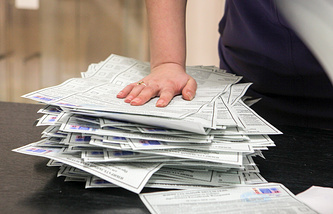 The voter turnout was 67.74% Pamfilova said the CEC had received no serious complaints during the voting.